We welcome the optimism around two key economic development moves last week. On Monday, officials broke ground on the multi-purpose arena that will anchor the River City Renaissance Project in downtown Mason City. The ambitious timeline for the arena places completion just 10 months from now. Bring on the jobs, bring in the visitors, bring on the tax revenue. "We've had so many stumbles through the project that I'm glad we're finally moving forward," Mason City Councilman Will Symonds said. "I'm excited to see the doors open. I'm excited to see what it can bring to the city. The project that was given to the taxpayers will come to fruition." After all of the turns in this years-long saga, our support of the plan remains steadfast. This is a project Mason City should do and can do. Thankfully, it appears, Mason City will actually do it. The other bit of good news falls in Forest City. Nervousness was palpable in the town since Winnebago, employing more than 2,000 at the Forest City facility, moved its corporate offices to the Twin Cities in December 2015. But local leaders quickly put together an incentive package to win at least 150 additional jobs. That investment in the home facility, along with infrastructure improvements, should quiet rumors about Winnebago's exit from North Iowa. The new production line is expected to be active by the fall. "It's going to be exciting over this year and next year," said Forest City Economic Development Director Beth Bilyeu. With these two important developments, North Iowa proved again it is open to building, open to expansion, and open for business. 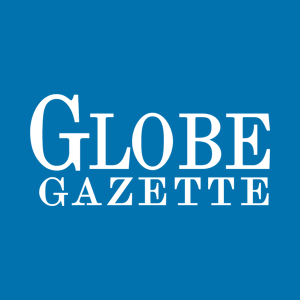 Local editorials represent the opinion of the Globe Gazette editorial board, which consists of Publisher Samuel Gett, Editor David Mayberry, and Regional Editor Jim Cross. Contact the board or send letters to news@globegazette.com.